Because the band isn’t supposed to be goofy, name aside. (In fact, the name comes from Leon Theremin’s alleged, not-so-funny quote about Joseph Stalin.) What I did focus on was the band being a mesh of influences tracing through the history of jazz, especially its swingy and brassy (figuratively) tendencies, which seems closer to MOPDTK’s real intent. I feel kind of good about that while reading the lengthy interview recently published on All About Jazz, where the four MOPTDK members take writer Troy Collins to task for some of the misconceptions about them. I’d shared many of those misconceptions, including the idea that the band is always trying to be funny, so it was a very educational read, a good viewpoint on the band’s perspective. That interview was part of a publicity meteor shower that spattered across the Web about two weeks ago in advance of Slippery Rock, the band’s sixth album and their most awesome album cover to date. (I didn’t say they never try to be funny.) It’s the first time in a while that the cover artwork isn’t based on a specific classic album, which made me glad when I found out. As much as I disparage smooth jazz, it bothered me to think there was some seminal smooth-jazz album whose cover I didn’t recognize. Call it jazz ego. Apparently, smooth jazz really is the album’s sire, or at least its great-uncle. Moppa Elliott, the bassist and songwriter, started by writing tunes for electric bass and keyboards. Those got jettisoned and the tunes slightly reworked to fit MOPDTK’s normal front line of sax and trumpet. Getting back to the marketing push behind the album — the band has a video out for “Yo, Yeo, Yough.” It’s not often that you see a jazz video, let alone one with this kind of staging and storyline. It’s good: funny at first, then maybe a bit unsettling, but in a good way. If you have trouble finding Slippery Rock in stores everywhere (because “stores everywhere” carry so much modern jazz, right? right? ), two of your options are CD Baby and eMusic. Neither one pays me to say things like that; I just happen to like ’em. 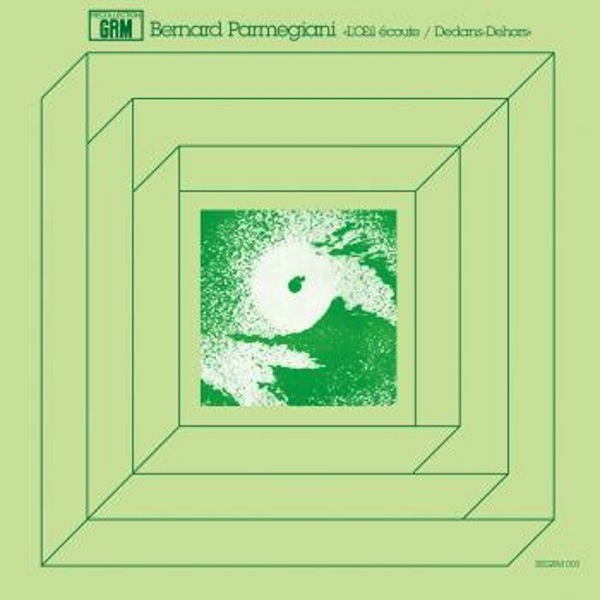 Cover of Parmegiani’s album, L’œil écoute/Dedans-Dehors. Futuristic in a 1970 way. Source: Bowlegs Music. This year’s San Francisco Tape Music Festival will include an evening-long celebration of acousmatic composer Bernard Parmegiani. The festival runs Jan. 25-27 at ODC Theater (3153 17th St., San Francisco). “Acousmatic” is a word I learned just this week, and it seems to be a more accurate (but less fun) description of “tape music.” Either way, the concept is: sounds that are set down in recorded form and meant to be performed by playing the recording. A new realization of John Cage’s “Williams Mix,” which also got presented last year. The piece instructs the “performer” to record various urban sounds, so it’s a completely different piece every time. A 1980 piece by Jonathan Harvey, who passed away in December. Given that last bit, it’s nice to note that Parmegiani is still alive at age 85. His evening of the Festival — Sunday, Jan. 27 — will feature pieces from the ’60s and one from 2004, followed by the 45-minute “De Natura Sonotorum,” created in 1975. Of course, there are study materials lying around the Web as well, albeit of YouTube audio fidelity. 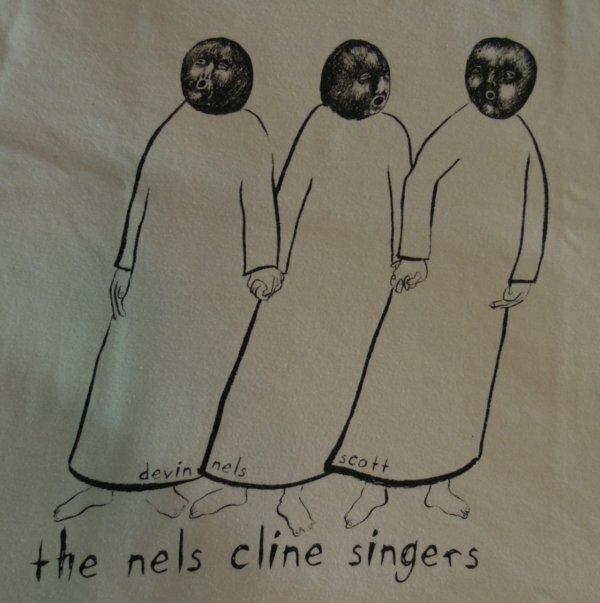 At no point did it occur to me that all four Nels Cline Singers shows at Duende would be sold out, but they are. Each show includes one set of the Singers trio and one set with a special guest added — Ben Goldberg (clarinet) on Friday and Zeena Parkins (electric harp) on Saturday, if I recall correctly. Music at Duende is held in an upstairs loft with wood paneling. Sound does travel between the stage and the restaurant. In the case of the well amplified Nels Cline Singers, this wasn’t a problem. What the restaurant patrons thought, I don’t know, but there’s a good chance they barely noticed the music over the natural buzz of the place. It was really crowded. I saw Wednesday night’s opening show, and it was good. Great vibe, with an audience psyched about not only the music but the venue. This isn’t the first music Duende has hosted (Patrick Cress’ Telepathy had been there the night before, according to the schedule) but the four-night residency had a Grand Opening feel. The show started off with gentle Nels, playing “Lullabye for Ian,” but that eventually merged into a louder, electronics-laden zone, where the folks who’d come to see Nels shred madly got satisfied. Nels at one point drew up a sample of their playing that also included a drumbeat, and he looped it for a kind of auto-rock beat. They had a lot of fun with that. 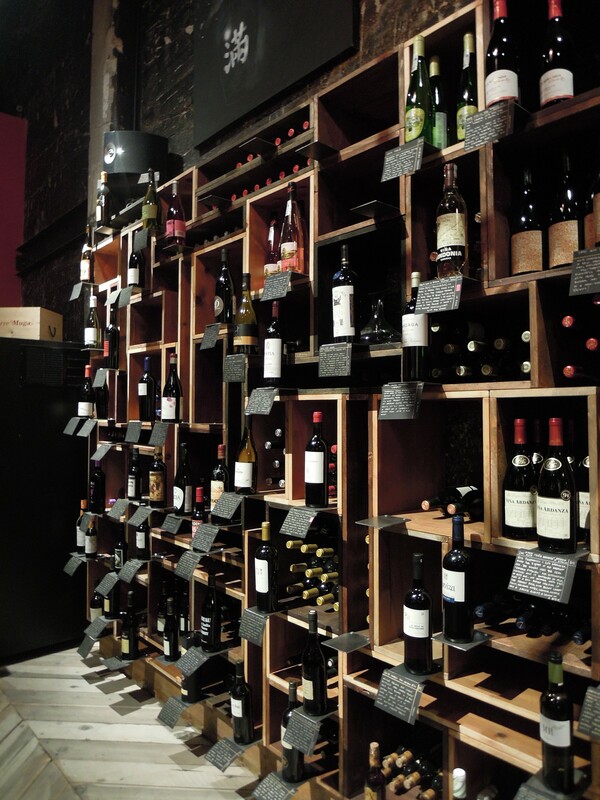 As for the food, it’s pricey, but of course you’re paying for the experience, including snappy decor, unknown cooking ingredients from Spain, and a wine list of obscure bottles with random-adjective descriptions (not that music reviewing gets any less abstract). I stayed on the bodega side and ordered a small plate and some wine from the cashier; both were good, and so was the lemon ice-cream sandwich that I got on the way out. It was a treat. I’m looking forward to going back. 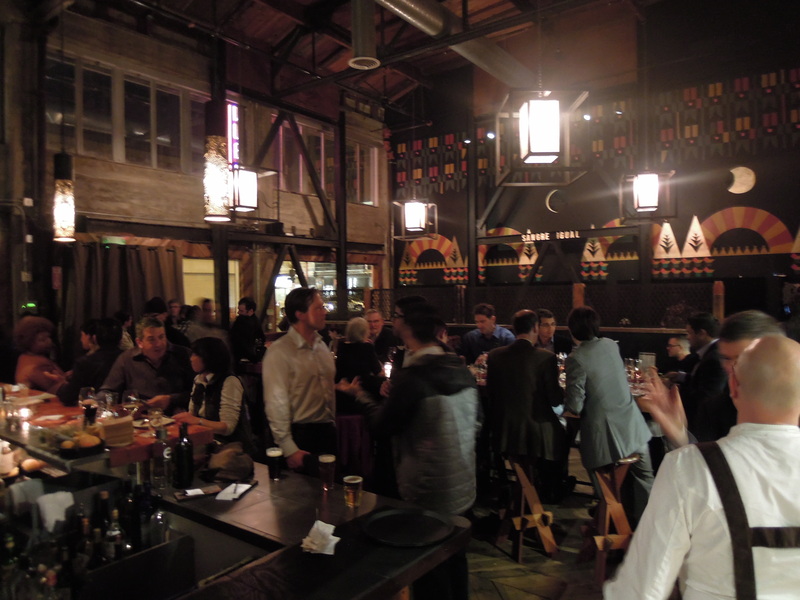 Some time ago, I expressed skepticism about the “jazz” aspect of a new restaurant that was coming to Oakland. Boy, was I wrong. 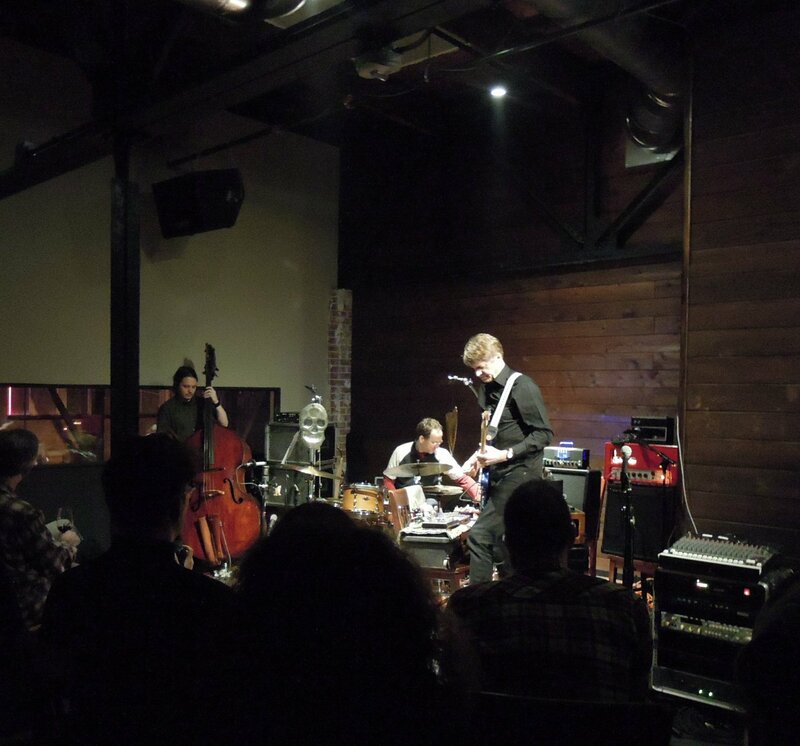 Duende (468 19th St., Oakland) is giving the Nels Cline Singers a four-night residency starting January 23. Separately, co-owner Paul Canales has a blog entry where he mentions John Zorn as not only a friend but a source of inspiration for the restaurant — for the name, in particular. 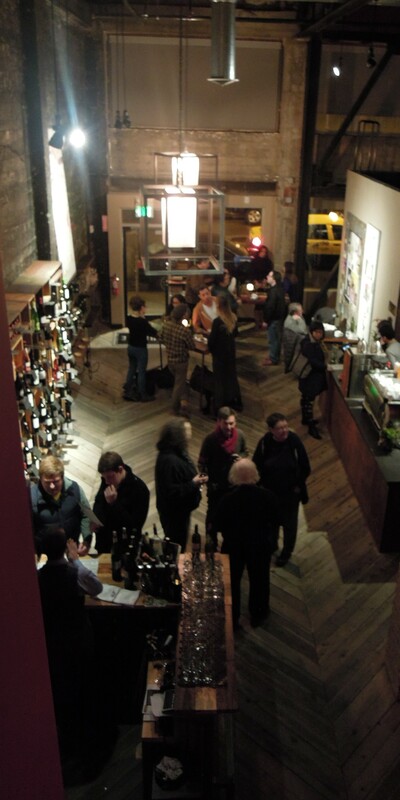 I don’t expect Duende to become a full-time, all-out haven for the avant-garde. They’ve got rent to pay, and they’ve got ambitions as a restaurant. But it’s good to know the owners have sympathetic ears for good music. And the food and coffee — there’s a blog entry about the coffee! — sound intriguing too, albeit not cheap. I love going to DIY music events in obscure corners. I fondly remember a trip to NYC where I stared in envy at show fliers for loft shows and experienced an invigorating Elliott Sharp concert in an upper-east-side apartment converted to a dance studio. But I think a plush setting is a nice treat occasionally, and I’d imagine many musicians agree. So, let’s wish best of luck to Duende, and help them out by providing a good showing for Nels Cline. Each show, Jan. 23 through 26, will feature one set of the Nels Cline Singers and a set of Nels plus a guest artist. More info here. Addendum: As I reach for the “Publish” button, I see that Patrick Cress’ Telepathy will playing on Jan. 22. More about them here and here. Have I complained about the San Jose Jazz Festival in these pages? Yes? I’ll do it again anyway. The summertime festival is great if you’re into pop, hip-hop, swing, or Latin jazz. Deeper jazz — not to mention anything off the main drag — is out. Even smooth jazz was hard to find, last time I checked. Yes, I’m being a snob. And hating is easy; you could argue I should join SJ Jazz and make my opinion heard. But be realistic. The festival wants open-air crowds of smiling families and happy first dates. Danceable, drinkable bands have pushed even bebop and Coltrane clones to the fringes of the agenda. Suggestions of free jazz and cerebral quasi-classical improvising would be met with hard stares. Plus, I’d honestly feel bad about trying to rock the boat without first putting in my dues as a volunteer — and if I had that kind of time, I’d still be doing my KZSU show. Besides, I don’t need for San Jose to have an avant-garde angle. I’ve already got the likes of the Switchboard Festival, SF Offside, the sfSound concerts (including the upcoming Tape Music Festival), Other Minds, the Outsound New Music Summit … and other options I’ve just insulted by leaving them off the list. There are also the weekly and monthly series that keep forging ahead, as you can see on the calendars at transbaycalendar.org or bayimproviser.com. A festival crowd would be nice to provide for some of these deserving artists, but San Jose is a commerce town. The invigorated downtown, heartening as it is to see, is all about prime-time attractions. Surprises like that pianist have become rare for the San Jose Jazz Festival, although I’d bet they’d be open to someone like Lisa Mezzacappa who’s played Monterey. I have to admit, too, that San Jose Jazz has a sincere interest in world music (the fusion-y, westernized kind, at least), and admirably, they support school jazz bands. But if I want to get creative music going in my hometown — and the little voice in my head always chastises me for never even trying — I’d be better off finding a small South-of-First Street gallery that’s open to a DIY series. Maybe someday. My point in writing this, though, is more hopeful: San Jose Jazz has cracked the mold. 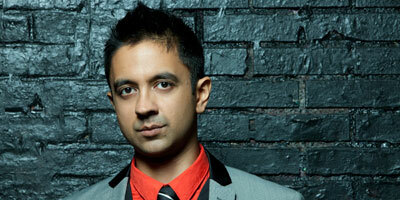 For their winter mini-festival in early March, they’re bringing in Vijay Iyer. In other words, the organization has booked someone I actually want to see. And while I’m down there, maybe I’ll even swing by South First Street and daydream about that South Bay series. 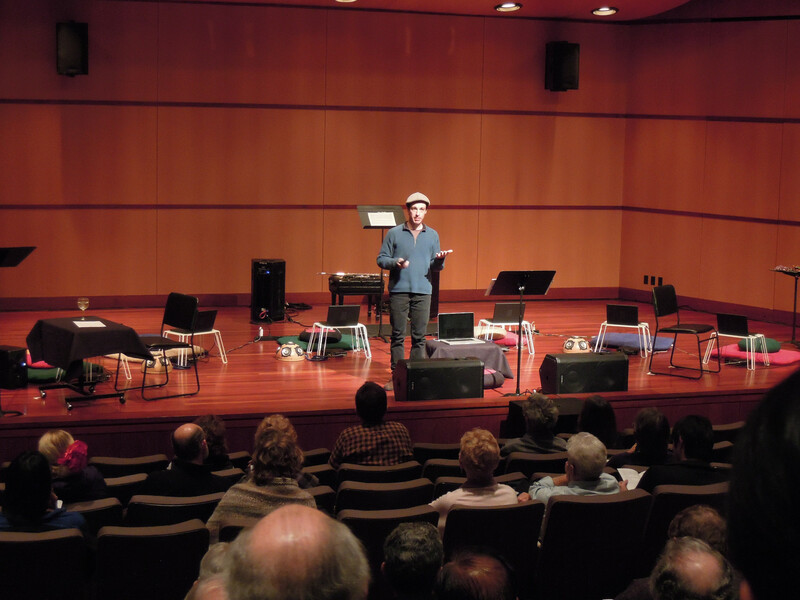 Bruno Ruviaro demonstrated some nifty ideas around electroacoustic music and voice performance Friday night, and he also got to show off the Laptop Ensemble that’s going to be the seed for Santa Clara University’s first Laptop Orchestra. University events can be nice. You get a plush, acoustically pleasing theater and an appreciative crowd — in this case about 70 people including Ruviaro’s students, fellow SCU faculty, and other colleagues, and some curiosity seekers like me. Beetz (left) and Aszodi after performing “Clippings.” Yes, it’s blurry. Aszodi later performed “Unspell,” and her Web site says she’s preparing a CD of vocal-plus-electronics pieces like that. That combination is a current passion of hers. Then Beetz went upstage and Aszodi downstage, still with their backs to each other, for a second movement of rapid-fire monologuing by Aszodi, a phonetic jungle gym that reminded me of Finnegan’s Wake. The final movement had them on opposite sides of the stage again, this time slightly facing one another. The whole effect was like minimalist experimental theater. 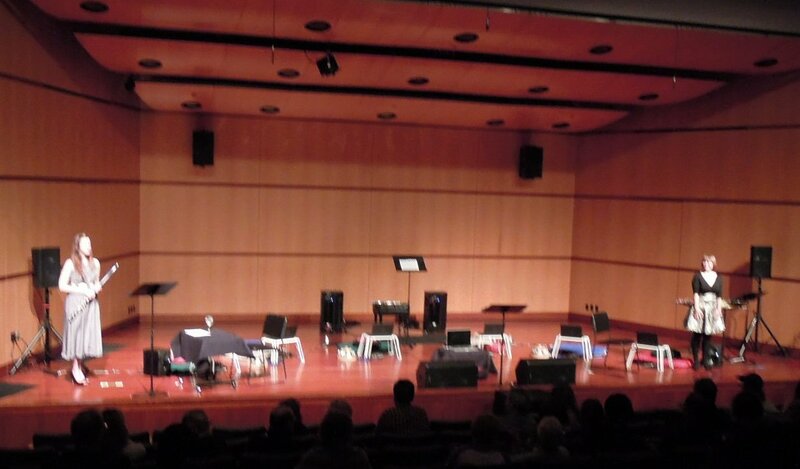 Later, Aszodi took to the stage alone for a piece titled “Unspell,” vocalizing against the electronics Ruviaro triggered from the soundboard in the middle of the auditorium. Aszodi rapid-fired through passages of French, English, and possibly something in between, running a gamut of emotions from contented bliss to jilted anger. She’s an accomplished opera performer with a lot of stage presence and a wide range of emoting — her facial expressions alone told the story. The text itself, inspired by a Roland Barthes book, mostly concerned the narrator waiting for a lover, at different times either voluntarily or by order, and it included the classic scenario of not daring to use the telephone in case the lover should try to call. The electronics lingered in back, setting moods including a rabid buzz, or a series of joyous, bouncing notes, like metallic balloons being released. Aszodi spent most of “Unspell” standing front-and-center on the bare stage, then sat at the edge of the stage for the conclusion, reading off of a music stand placed there. It was a clever way to end with more of a tête-à-tête setting. 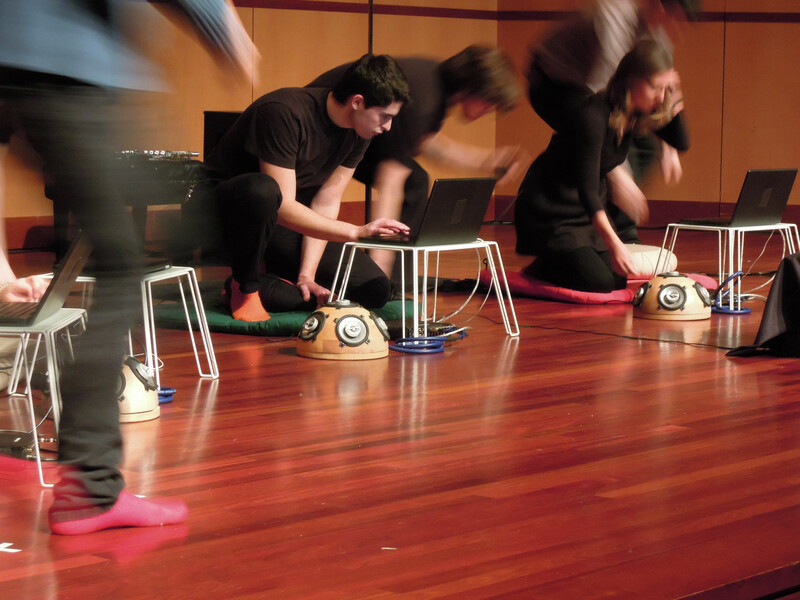 The six-person laptop ensemble involved Ruviaro conducting the players through cues while leaving them options for their playing — varying different types of waveforms. Each laptop got its own speaker, so that your ears could tie a location to each player, just as with acoustic instruments. That came into play early, as the piece, “Intellectual Improperty 0.6,” started with a continual buzz that turned out to be ratchety clicking coming from each laptop. The nature of the sound became apparent as players dropped out or moved to the next phase, reducing the sum-of-parts to some discernible components. It was a nice effect. The second half of the piece was dominated by recognizable piano sounds, some sampled from Beethoven’s “Diabelli Variations.” (I’ve mentioned that piece before, in a surprisingly similar context.) It started with high plinks invading the sound one by one, eventually descending into a big rumbling thunder, the evolving back into recognizable piano sounds near the ending. Laptop music does have that “people checking e-mail” quality, which Ruviaro joked about in the program notes, but this was an enjoyable piece. Being closer to the stage, to better hear the sound separation between players, might have been interesting. The Laptop Ensemble, disassembling during intermission. Click for big view – those bowl looking speakers *are* Ikea bowls, with car speakers inserted through holes in the sides. “Fonepoemas,” which opened the concert, was apparently sampled from different vocalizations of the name “Tania.” I completely did not pick up on that; I was enjoying the sci-fi insect chatter of it all. The other piece, “Study on Japanese Themes,” was not the zen stillness I expected. In fact, it was lively and driving. I liked it a lot. It drew from sounds by composers Ryoji Ikeda and Keiichiro Shibuya, combining hundreds of tiny bits of sound through a technique called concatenative synthesis. Overall, a very enjoyable faculty concert, even though I felt sorry to miss the Jay Korber benefit in Berkeley. 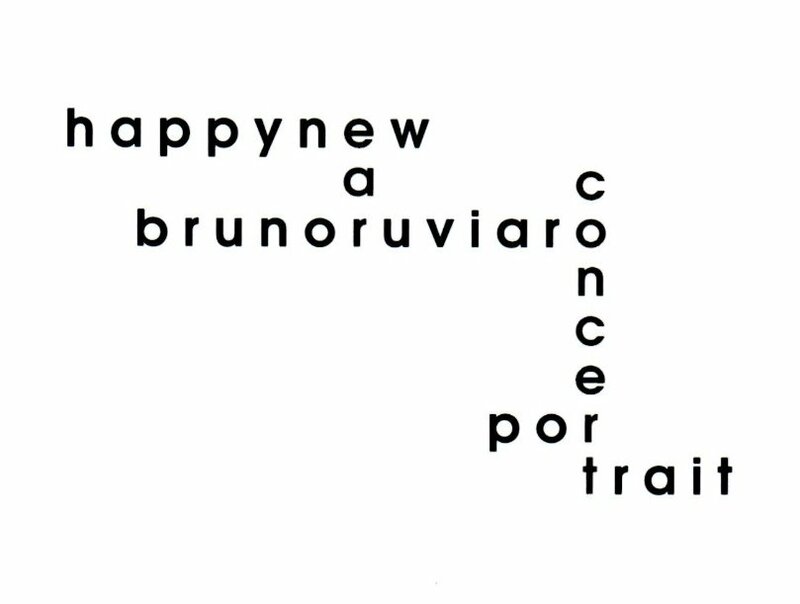 Ruviaro isn’t done, of course. 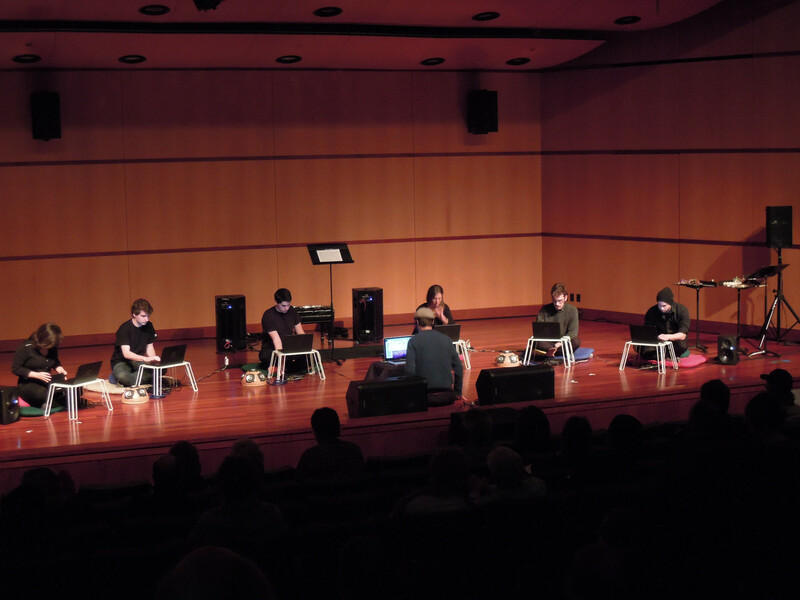 In the spring quarter, he’ll offer a class whose members will become the SCU Laptop Orchestra, and they’ll play a concert on the afternoon of Thursday, June 6.